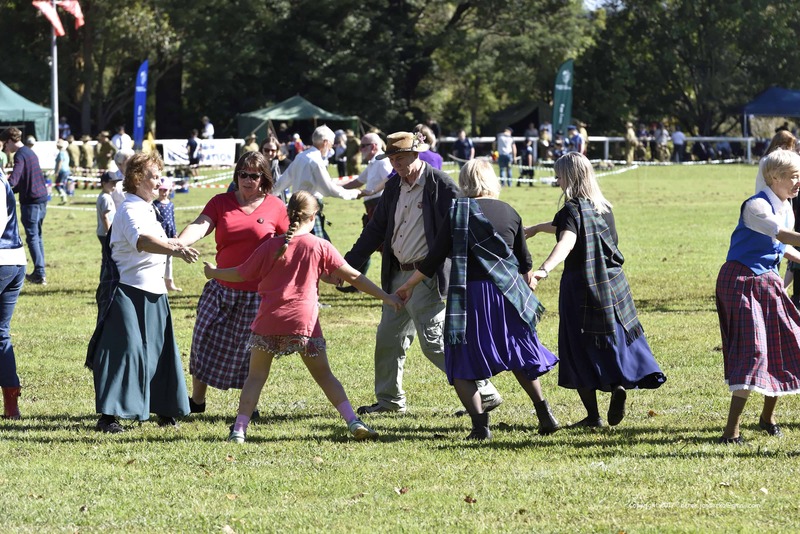 Scottish Country Dancing - BRIGADOON | Bundanoon Highland Gathering Inc. Dancing makes me smile and anything that makes me smile I think I should do often – so I hope you might like to try Scottish country dancing for exercise, mental stimulation, unabashed fun and friendship. Scottish Country Dancing is the traditional ballroom dancing of Scotland and is suitable for all age groups. Though many of the dances danced today were written in the 18th century, dances are still being written. We learn formations, and the dances are made of a combination of these formations. We now have over 15,000 dances from which to choose, many of which help us with Scottish Place names – The Pines of Pitlochry, Edinburgh Castle Reel, The Cuillins of Skye, Culzean Castle, Culla Bay; we brush shoulders with royalty with dances called The Duke and Duchess of Edinburgh, Princess Royal, The Duke of Athol’s Reel (learnt about private armies when learning this one); and others which have interesting names such as the Piper and the Penguin, Roaring Jelly (a nickname for gelignite), Cranberry Tart, 1314 , The Reel of the 51st Division, just to mention a few. Since 1923 when the Royal Scottish Country Dance Society was formed , groups and clubs have sprung up in many parts of the world. It is possible to dance in Japan, USA, Canada, New Zealand, Russia, Germany, France, Portugal, Australia, the UK and Hong Kong , just to name a few. Our travelling dancers enjoy visiting classes, weekend schools and camps overseas, certain in the knowledge that everyone understands SCD in the same way. It is possible to follow events in Australia and round the world through Facebook and other social media. In Australia two popular Facebook pages are “Dancedownunder – RSCDS Sydney” which reports on both local and international events and “Scots on the Rocks”. The Southern Highlands Scottish Country Dancers meeting on Wednesday night 7.30pm – 9.30pm in the Uniting Church Hall, corner of Argyle and Spring Streets, Moss Vale. There is no dance class during the school holidays. For further information visit www.rscds.org.au, Sydney clubs, Southern Highlands. Dances for 2019 are: have been listed in a particular way which dancers will understand – if they wish to practice them and join in. Audience Participation Dance – always eagerly awaited – The Dashing White Sergeant – 4 times through.